Where are the giants of edtech in K-12 education in Europe? – Supporting engagement and motivation. Technology can be a key enabler on making progress on each of these three fronts, Today, Sanoma Learning is one of Europe’s leading edtech companies, with roughly € 40 M of pure-play digital and € 100 M of multi-channel sales. We’re ambitious and like to partner with and acquire other edtech companies to help us to support customers on the three fronts mentioned above. Significant amounts of money are being spent on education each year, of the order of 6% of GDP. This is approximately € 800 bn per year in the EU: the market is sizeable and K-12 is a big slice of that. Yet there are relatively few edtech companies established on the continent today that generate more than € 25 M of annual sales. To be honest, I couldn’t name 10 off the top of my head. IBIS Capital estimates that there are approximately 3,000 e-learning ventures in Europe today. These companies employ a lot of entrepreneurial talent, many of them working on potentially high-impact ideas. Also, it seems to me that it’s not impossibly difficult to find funding for promising edtech ventures. In the USA in Q1/2014 about $ 500 M was committed in new funding to 99 edtech ventures – the biggest quarter for the last five years. So why hasn’t this large and transforming market in K-12 education spurred the growth of a handful of European edtech giants? To be frank, I don’t know. Let’s start by looking at the context for K-12 education in Europe today. The great majority of the money in the market is spent (directly or indirectly) by the government through schools, many of which are not yet ready for e-learning. Also, the great majority of overall funding is spent on the salaries of teachers; this is absolutely right – teachers are the most critical factor in providing excellent education. A well-functioning e-learning ecosystem can be built if we can make progress on four dimensions in schools: i) a clear vision on what we want to achieve and committed leadership to make it happen ii) good ICT infrastructure iii) availability of content and software and iv) teachers equipped with the skills to get ICT to work for them and their pupils. Although good progress has been made in many countries on many of those dimensions in the last ten years, most of these ecosystems are still relatively immature. In many ways progress needs to be made on each of these dimensions simultaneously in order for the ecosystem to flourish. There are a lot of data available on this. To name one important element – today there are of the order of 5 devices per household in northern Europe but five pupils per workstation at school. The home is a much more advanced digital ecosystem than the school. Surely this is just a matter of timing? Maybe BYOD tablets will provide the impulse the ecosystem needs? In any case, the early stage of the ecosystem hinders the adoption of educational technology. The great majority of spending on education in Europe is channelled through institutions. Most of those institutions are organised around an annual cycle. Sales processes into them tend to be long and complex and the window of opportunity rather narrow. If your service is great, but you are not well-positioned to make the sale, the opportunity can be lost until the next year, or for many years. This can be killing for start-ups managing their monthly burn rate and can be a big disincentive to some investors and entrepreneurs. The final area that is probably hindering the emergence of new European edtech giants is the lack of scale in the market. Education systems tend to be organised very locally and can be prone to political influence. There are relatively few things that scale across multiple countries. Even if your business does brilliantly well in one country, it will be very hard to capture that same position across the continent. Edtech ventures from the USA or China enjoy a clear advantage, with large home markets that can attract significant funding. Europe has many natural advantages in the edtech space. For example, it’s home to some world-class education systems such as Finland and there’s a rich start-up scene in a number of leading cities. There’s also a reliable and significant commitment to spending on education. I’m sure there are lots of smart options about taxes and skills and common standards and so on that the EU is working on in building a big single European market, and I imagine many of those things will help. In addition to that I would like to see us getting more proactive as an industry in two areas. Firstly, it would be good to get more transparency on the market. Which of these new ventures are really starting to fly? Initiatives such as Edtech Europe and Sanoma’s Start-up Challenge help, but are not enough. It’s hard (but not impossible 🙂 ) to see the wood for the trees amongst the 3,000 of today. Who should we partner with? And secondly, are there ways for us to create a European network that can bring scale to the market so that we can more rapidly deploy new technology for the benefit of our customers? I’m interested to hear your views on this. Feel free to drop me a line if you have inspired ideas. This entry was posted in Edtech, Education, Innovation, Learning, Learning Outcomes, Sanoma, Sanoma Learning, Start-Up, venturing and tagged Edtech, Innovation, Sanoma, Sanoma Learning, Start-up on 04/05/2014 by johnrichardmartin. Last week Sanoma announced the FY2013 results. To be frank they were mixed, with online and mobile sales growing but print media in decline. The vocabulary turned classical: annus horribilis, Utopia, and per angusta ad augusta, could be heard in English, Finnish and Dutch conversations during the week. As is often the case with mixed signals, the good news has been somewhat drowned out by the more negative headlines throughout the year. Yet Learning had a good 2013. And after a slow start to the year the overall digital platform has gained momentum and performed particularly strongly in the final quarter. I always find it tricky blogging about financial results given that Sanoma is a listed company. But now that we have announced the results, I’d like to call out a handful of highlights on digital in Finland, The Netherlands, Learning and early stage innovation at Sanoma in 2013, drawing on the published materials. As a reminder, the core strategy of Sanoma rests on three pillars: i) connecting consumers with content and brands, anywhere, anytime; ii) delivering powerful marketing opportunities to advertisers through our reach and consumer insight; and iii) providing personalized digital learning solutions to pupils and teachers. Digital is clearly an integral part of that strategy. Our share of the online media market grew by 5%-points to almost 40%. Our online advertising revenues grew by 18% over the previous year and digital consumer sales grew by almost 30%. Digital subscriptions at Sanoma’s single biggest brand, the newspaper Helsingin Sanomat, grew by almost 40% to 160,000 (on a total of about 355,000). Furthermore, digital sales at our second biggest brand Ilta-Sanomat grew by about 40%, whereby digital revenue gains now appear to be exceeding print losses; this terrific performance also secured a lead for Ilta-Sanomat over Iltalehti in terms of visitors. We also saw early success at magazines with the Donald Duck library reaching 12,000 subscribers. Our market-leading position in recruitment got even stronger and we regained leadership in terms of visitors in real estate. Finally, we made a great start with e-commerce service MSO.fi with more than 120 retailers already on board. We have seen strong growth in usage via mobile devices and of online video and this is where we have registered our fastest growth. By the end of 2013, over 50% of all pageviews on our Finnish network came from mobile devices, with mobile visitors growing by over 100% and pageviews by close to 150%. Correspondingly, mobile advertising sales grew by around 180%. Online video advertising sales grew by over 30% and the weekly reach of video platform ruutu.fi by 25%. comScore ranks Sanoma #4 of the big 5 in The Netherlands with 8.1 M unique visitors (MUV) in December 2013 – behind Google, Microsoft and Facebook (12.7, 10.7 and 9.9 MUV, respectively), but ahead of eBay (6.6 MUV). Other Dutch media groups are also represented in the top 20, but lack the reach of Sanoma. The state-subsidised NPO, and privately run TMG, De Persgroep and RTL Groep, registered a reach of 6.2, 5.3, 4.7 and 4.4 MUV respectively in December. 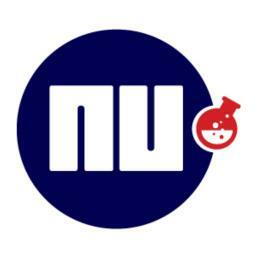 NU.nl, the leading news site by visitors and strongest media brand in The Netherlands and a cornerstone of Sanoma’s digital network, further strengthened this position in 2013 delighting readers with more than 10.000.000.000 pageviews, almost exactly 50 per inhabitant per month! Pageviews have more than doubled in the last three years and in the meantime more than 75% of views are made from mobile devices. NU-apps have been downloaded more than 5 M times so far. In common with Finland, video also grew strongly (about 40%) totalling 152 M at video platform zie.nl. Lindanieuws.nl – an extension of the highly successful magazine brand Linda. – came with a new version that resulted in a tripling of the number of visitors to 1.2 M and a doubling of advertising sales. Digital sales via automated trading increased by almost 25% – a serious money-maker for our digital network. Our performance-based business had a solid year. In particular, sales at the recently acquired FashionChick doubled, partly driven by international expansion. The introduction of curated search at directory Startpagina.nl has been a runaway success and one of the most rapidly growing digital product innovations we have made in recent years. Net sales of e-commerce service SBC grew by 25%, with sales of home deco performing particularly well with a growth of nearly 50%, And soft launches of new brands leef.nl (health) and yixx.nl (jewellery) and of the international launch of price comparison site kieskeurig.nl in France and Poland have helped to ensure a healthy pipeline of new business lines that we expect will support the growth of the performance-based assets in the coming years. At Learning, there are also good data to evidence our progress to a more digital future. Much of this relates to bringing content to life by making it more functional through digital. For example, in The Netherlands, more than 1,000,000 pupils in primary education work with Malmberg’s software, reaching 60% of all schools. In a single week in November, more than 1,000,000 exercises were made on homework platform Bingel.be in Belgium. And in Finland, teachers and pupils logged into Sanoma Pro’s new learning environment 1,900,000 times, with 768,000 hours of active use. In the meantime 800 e-books have been published in Sanoma’s five Learning countries on the BookShelf platform provided by Young Digital Planet. In addition to transforming its core business, Sanoma Learning is working on providing learning services to the home market with a new online tutoring proposition for mathematics: StudySteps. This has been soft launched in Belgium and The Netherlands, tested in Poland and Russia, and the first results are promising, with 110,000 exercises made in the test period. Furthermore, Sanoma Learning is exploring the possibilities to build a position in emerging markets and has amongst others made an agreement with the People’s Education Press to provide digital services to support the provision of e-learning in China. It’s early days, but there is clear demand for Sanoma’s high quality Learning capabilities abroad. SanomaVentures had an exciting year, receiving over 400 requests from external startups, which ultimately resulted in 9 investments, bringing the total to 15 to date. In aggregate the business/financial performance of this portfolio has been promising and these ventures currently employ over 161 people. We expect to make a similar number of new investments this year. Building on the success of the series of in-house innovation accelerators, we have now launched an Innovation Lab to foster the ventures that are borne out of the accelerators and as a test ground for new ideas from the core business. We currently have a full pipeline of concepts, prototypes and early stage ventures and have set ourselves the goal to have established five ventures in the next 3-5 years that have an annual revenue potential of € 10 M+. In 2013 we ran four accelerators (Content, Commerce, Talent and NU-lab), two of which were open to external participation. Through these accelerators we trained about 500 Sanoma employees on the lean development methodology and created 15 functional prototypes, about half of which have been given seed funding for further customer validation. Finally, we have significantly increased our investments and human resourcing on data science including hiring a team of 20 data scientists last year to boost our analytics and insights capabilities across Sanoma. We are currently working on developing the common “big data” enablers, as well as specific cases on consumer sales, online advertising and new business models. We expect to make a quantum leap in our insights capabilities in the coming years. Overall, reflecting on the three pillars of Sanoma’s strategy i) connecting consumers with content and brands, anywhere, anytime, and ii) delivering powerful marketing opportunities to advertisers through our reach and consumer insight and iii) providing personalized digital learning solutions to pupils and teachers, I believe the highlights above show that digital has made a big contribution in 2013 to progressing this strategy. Respect to the teams who have made this happen and thanks for your hard work! This entry was posted in Accelerator, Advertising, Big data, Commerce, CommerceAccelerator, Consumer Media, Culture change, Data science, Digital, E-commerce, Innovation, Learning, News, Open Innovation, Sanoma, SanomaDigital, venturing and tagged Digital, Digital transformation, Sanoma, Sanoma Digital, Sanoma Learning, Sanoma Media, Sanoma Ventures on 09/02/2014 by johnrichardmartin. We recently announced the launch of a startup challenge, focusing on the future of learning. The goal of the challenge is to identify Europe’s most promising startups in K-12 education and to work with them in finding ways to help them to grow. We’re encouraging applications from European startups that have a live product and growing customer base, but are still smaller than € 2 M in annual revenues and have been established within the last five years. The application round is now open and will close on 1 March. Five finalists will be invited (expenses paid) to Amsterdam on 23-25 April to work with executives and experts from Sanoma Learning and SanomaVentures and to pitch their startup to The Next Web Conference audience and jury. The final winner will be announced immediately after the pitches and will receive a cash prize of € 25.000. We will also explore the options with the finalists for closer collaboration with Sanoma in supporting their growth ambitions. Education is at the dawn of a new era, partly enabled by technology. As interim CEO of Sanoma Digital and CEO Designate of Sanoma Learning I am excited about working together with high potential startups in the edtech space and hope that we can build some successful and long-lasting relationships through this initiative! For more information on the learning startup challenge, including the application procedure, click here. Good luck to all applicants and I hope to see you in Amsterdam in April! This entry was posted in Digital, Education, Innovation, Learning, Sanoma, SanomaDigital, venturing and tagged Innovation, Learning, Startup on 06/01/2014 by johnrichardmartin. Last week in a live broadcast, we selected the five winning concepts and idea owners who will join us this week at the bootcamp of the CommerceAccelerator in Amsterdam. We will build prototypes of these ideas and test them with customers, as a pre-cursor to deciding which concepts to sponsor as new ventures at Sanoma. We have two main objectives for the accelerator programs. Firstly, we want to develop new digital business lines – to plant the seeds of the next generation of Sanoma products and services. We have set ourselves the target of establishing five new ventures (the “fabulous five”) within the next five years that have clearly demonstrated the potential to become as successful as NU.nl is today. From the first two accelerators we have created six new ventures and we will soon reach the critical moment when we decide which of them to boost further and which to discontinue. Secondly, we want to develop lean development skills across Sanoma to support the overall digital transformation. We want 20% of all employees to join an accelerator program in the next five years. By the end of 2014, we expect that more than 1.000 Sanoma employees will have participated in an accelerator and learned the lean development methodology. So far, so good :-). This is the third accelerator in the series so far and focuses on enabling commerce. We see three domains of opportunity where Sanoma has the ability and ambition to succeed: i) creating, curating and distributing content for consumers ii) providing powerful marketing solutions to advertisers and iii) supporting learning and education. This accelerator clearly supports our ambitions in the second domain. I’m enthusiastic about how this accelerator has been going so far. I love the positive energy and can-do attitude of the people. This time we have made the accelerator “open” to university students and that’s brought it an extra edge, a new freshness. I like it when we innovate the innovation programs :-). It’s also been great to see such a good mix of people: Sanoma and Students; Finland and The Netherlands; Print, Digital and TV. Lassi and Joris have done a wonderful job again: every time we do it, it grows and gets better. The ten concepts and their owners were all strong and had put forward excellent pitches. Prior to the selection I advised the voters to consider five criteria when making their decision: i) does it fit our strategy? 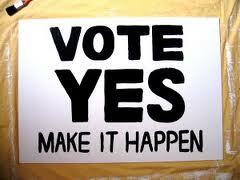 ii) are we capable of doing it? iii) can we earn money from it? iv) can this person make it happen and v) is the lean development method being well used? I don’t know if anyone listened to the advice, but I am happy with the results of the voting :-). Voting was tense and the public rounds went to the wire a couple of times. The three concepts selected from the public voting included propositions for mobile advertising, engaging tv ads and marrying offline and online commerce. Two additional concepts won “wildcards” from the expert jury based on the expectation that they would be well position to “make it happen”: a reverse retargeting proposition and a relevant and engaging online advertising service. 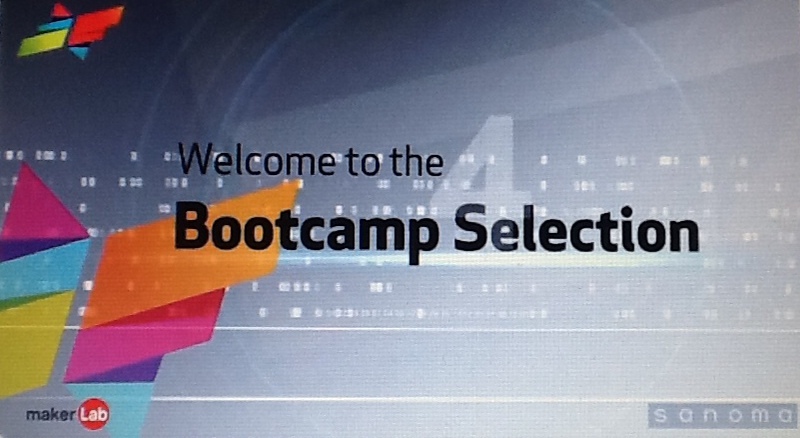 I’m truly excited to see what the idea owners will create at bootcamp this week! What can we make of these concepts? Might one of them eventually become one of the fabulous five? I’m sure that most of the participants will experience this as one of the best weeks in their professional lives so far: hard work, fast pace, rapid learning, focus on delivery and a lot of fun too! Tomorrow morning is the kick-off and by the end of Thursday afternoon we will see what the teams are capable of. This entry was posted in Advertising, E-commerce, Innovation, Open Innovation, Sanoma, SanomaDigital, venturing and tagged Digital transformation, Innovation, Intrapreneur, Open Innovation, Sanoma, Sanoma Digital, Venturing on 08/12/2013 by johnrichardmartin. At the end of October, Sanoma announced the planned launch of Sanoma Digital to boost our pure-play digital business in consumer media. Sanoma Digital will have three main goals: i) to grow ii) to boost innovation and iii) to advance our capabilities on analytics and lean development. In the weeks since the announcement I’ve been meeting my colleagues in the new digital organisation to talk about the plans for digital and to listen to and discuss the feedback. This has been a truly positive experience and I’ve also been really been proud to see how my new team is stepping up to the challenge. I especially like it when there is a lot of interaction and direct and open questions in the sessions; the more lively the discussion, the more fun it is! Although we are facing challenging times, the over-riding spirit at new Sanoma Digital is optimistic and positive. The announcement of the new unit has been welcomed. This is widely seen as a good step to take in boosting digital at Sanoma and in bringing new opportunities for our people. It brings a new and promising perspective. There has been strong support amongst the employees and in the new management team of Sanoma Digital for establishing this new business unit. This support comes from the clear and distinct mandate: to grow, to innovate and to advance our capabilities in digital consumer media. Each part of the business has a role to play in navigating Sanoma to the future. This is where Sanoma Digital can make a difference. And organising to make that happen is seen as making good sense. I sense a strong ambition to win amongst the teams at Sanoma Digital. I feel it in the teams of our successful brands such as NU.nl, oikotie.fi and kieskeurig.nl. I feel it at the Innovation Lab and at SanomaVentures. And I feel it in the analytics and professional support teams. It’s an ambition and determination to take this opportunity and to make a difference by winning in the market. It feels good and I respect it a lot. So, these are my reflections on the last couple of weeks. I’m looking forward to becoming CEO of Sanoma Learning during the course of next year, but know very well that I will be leaving behind a fantastic opportunity at Sanoma Digital! This entry was posted in Big data, Consumer Media, Culture change, Digital, Innovation, Sanoma, venturing and tagged Innovation, Sanoma, Sanoma Digital, SanomaVentures on 17/11/2013 by johnrichardmartin. 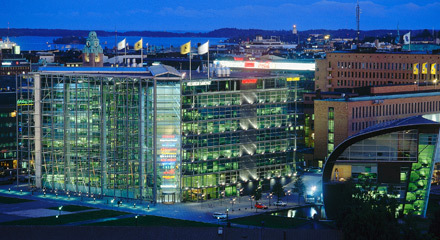 Sanoma recently announced the planned launch of Sanoma Digital as part of an overall accelerated transformation program. We see many opportunities in digital and have in the meantime built a substantial and growing digital business. We intend to boost digital by creating this new business unit which will focus on pure-play digital assets in consumer media in Finland and The Netherlands, and will include brands such as oikotie.fi, NU.nl and kieskeurig.nl. Digital brand extensions such as hs.fi and libelle.nl will be run directly by Sanoma Media Finland and The Netherlands. Sanoma Learning will drive all Learning activities. A core element of the overall transformation program is to bring more focus to the business and to ensure that each part has a clear mandate and objectives. This also holds true for Sanoma Digital. Growing and innovating pure-play digital businesses in consumer media is a different assignment than transforming a portfolio of magazines, winning viewers for television, taking newspapers to their next level or building digital workflow solutions for learning. Each of these assignments needs dedicated management attention to focus on making it happen. Digital enjoys a unique role within the portfolio and will for that reason also work very closely with the other platforms to enable cross-media solutions for consumers and advertisers – shared sales, insights & analytics and ICT teams will help us to achieve that. The first goal is to grow. We intend to significantly grow the digital consumer media business in the next 5 years. Part of that growth will come from working closely with the local business in Finland and the Netherlands, including adding new verticals, new media (mobile and video) and new services to our performance-based (lead-generation, e-commerce, online classifieds) and pure-play digital content businesses. Another part of the growth will come from scaling successful concepts created in The Netherlands and Finland to new markets. We have been investing in the early part the product pipeline recently with quite some new launches in the final quarter this year. We expect this to bear fruits during the course of the coming years. The second goal is to boost innovation and to strengthen skills across the organisation on lean development methods. To achieve this we will establish a new innovation lab which will nurture the winning concepts borne out of our ongoing series of innovation accelerators. Furthermore, we will continue to invest in external digital enterprises via Sanoma Ventures. We want to fill the pipeline with new business lines – to plant the seeds of the next generation Sanoma. The third goal is to strengthen our capabilities on data insights & analytics. We will bundle our resources on insights and analytics, boost them, and deploy them across Sanoma, to help the whole company to succeed in the digital transformation. From the perspective of digital, we hope this will position us to better serve our customers. If we are successful, we will grow digital and this should help us to provide attractive new opportunities for employees and improved returns for shareholders. From a personal perspective, my next assignment is to establish Sanoma Digital. I’m excited about this and believe setting up Sanoma digital is a good step to boost the digital transformation. We’re now in the process of setting up a new team to drive this agenda. I’m really proud of the talented people who are joining this team and who will work at Sanoma Digital! During Q1 next year I will succeed Jacques Eijkens as CEO of Sanoma Learning. My two passions are digital and learning. Sanoma has a strong and successful international Learning business that is also going through a digital transformation. I hope and believe that I will be able to contribute to the further success of Sanoma Learning by boosting the leadership of digital and innovation there. This entry was posted in Consumer Media, Data science, Digital, Innovation, Learning, Sanoma, venturing and tagged Digital transformation, Finland, Innovation, Netherlands, Sanoma, Sanoma Digital, Sanoma Learning on 10/11/2013 by johnrichardmartin.